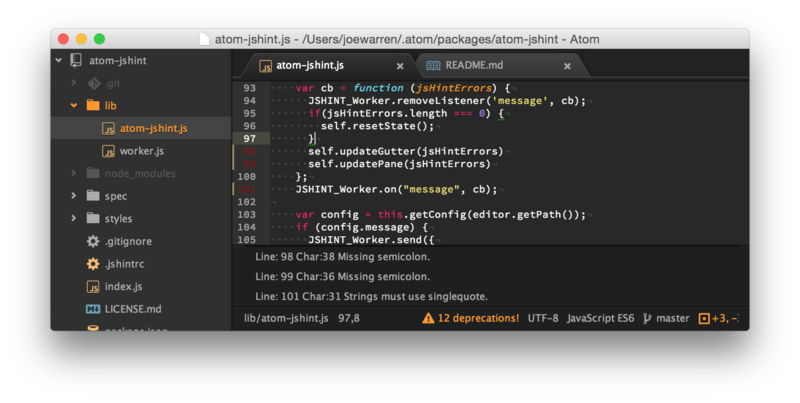 I use Atom text editor for my personal purposes, but it does not show errors as the Free Code Camp editor does. Am I missing something? I believe the FCC editor has jshint installed, which lets you know when there is a syntax error. There’s probably a plugin for Atom. If you are doing a lot of development I recommend configuring the ESLint Plugin for Atom. I used jsbin for all of the challenges. I would just copy the tests into my jsbin so I could see the results and debug from there.